Knitting Running Eating | A blog about hobbies! Well, here I return. I am training for Brighton Marathon again and thought I’d keep a diary of my training up to and beyond the marathon. Off for a long run shortly. Had a fuelling brekkie of oats, coconut milk, banana and chocolate mint protein powder. A nice cuppa of Lady Grey. I only ran a marathon!! Please accept my sincere apologies for the delay in a race recap, I’m now in the final few weeks of uni and there have been some uber important, uber intensive bits of work to get done first! 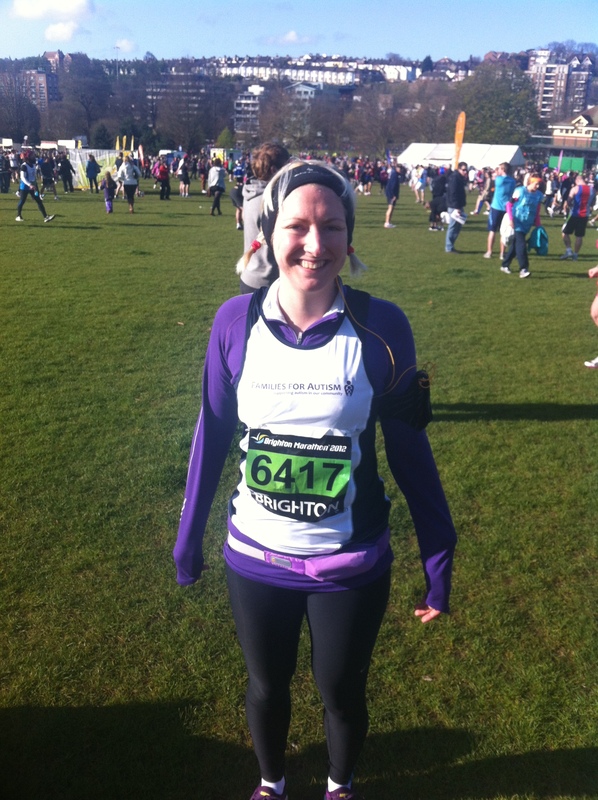 Well, Sunday April 15th 2012 was Brighton Marathon. We set the alarm for 5.45am and got up and had our breakfast. My race day breakfast without fail is gluten-free porridge oats made with water, a scoop of chocolate protein powder and a banana (ate on the way). I didn’t feel too great at this point, had a bad cold and sore throat which were not what I wanted on a day I was running a marathon! I made sure I had a pack of tissues to take round with me as I knew a runny nose would annoy me. We set off for Brighton and arrived at 7.15am which was perfect timing as we didn’t have to queue for long to get into the carpark. We then got the bus to the starting area. I was feeling so nervous at this point! 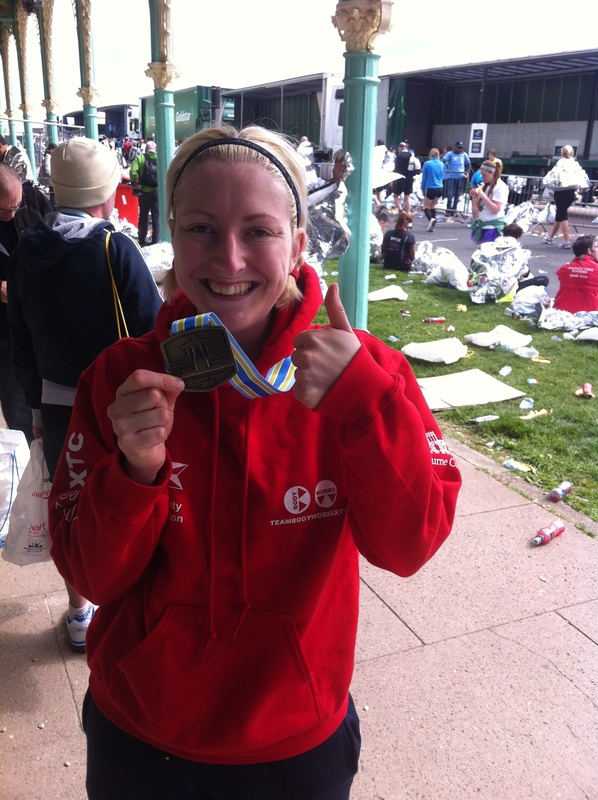 Having never run a marathon before, total eeek! We hung around and got ourselves ready. Handed in our kitbags and off we went to the starting pens. Rob is faster than me and so he was a few pens in front. While waiting for the countdown and to cross the start line I felt so emotional! It was really silly, felt like I was going to launch into a full-on sob! It wasn’t long, only 17 minutes, when I finally crossed the start line. It was a fab atmosphere and we went all over, it was weird to be running along roads I normally walk along when shopping! My fuel of choice was Clif Shot Bloks and Powerade. The Bloks went in my little running pouch along with my tissues and I took a Powerade with me. After I had been running for 1 hour I ate a Blok every 20 minutes or so, so I used up 2 whole packs of Bloks by the end. It was so cool! I really felt great and really enjoyed the running. My nose and upper lip were so sore though from constantly blowing my nose, but the lovely St Johns Ambulance people had plenty of Vaseline for me to smear on my face every so often. Lovely!! I had a few moment where it was really bizarre and I looked at my Garmin and went “oh that’s gone quick!” or “oooh 3 hours already!” it really did fly by! In my training the furthest I had run was 20 miles and so I got to the 20 mile marker and was very aware that I was entering unknown territory. Also very aware that this is what people call the wall, or the road to hell!!!! BUT it felt fine! My marathon playlist was keeping me going, with lots of boppy tracks. When I started to feel it was after the 25 mile marker. Knowing you’re so close but what feels like so far is quite draining! You just have to keep going though, and the support at this beyond and to the end was amazing. But definitely, the last mile and a half I found hard. What also made it harder was that I had my eye on the time and I so desperately wanted to get in under 5 hours and I was creeping ever closer to the 5 hour mark! But I dug deep and I did it. I completed a marathon in 4 hours, 57 minutes and 32 seconds!!! I was over the moon!!! It’s a really bizarre feeling having completed a marathon because all your focus for months is on that one thing and then you complete it! That Sunday I was on cloud 9 and for the next couple of days when people ask about it. But then the aches and pains wear off and people stop asking, and that’s it. Very strange. I was very lucky on marathon day, I didn’t get a single blister, or a single injury. I spent 2 days after feeling tight and stiff, but by the Wednesday I felt like my normal self again. That’s also why it’s a little strange, because you think- was that it?! So, to avoid the post-marathon blues I am now focusing my training on my next goal, a 2.25 mile swim at Hampton Court on 15th July 2012. I have been looking at a couple of races and triathlons before that as well, but will tell you all about them another day! Sorry to have made you all wait so long!! I am officially a marathoner!!! Whoop!!! Bonjour on this beautiful sunny day! 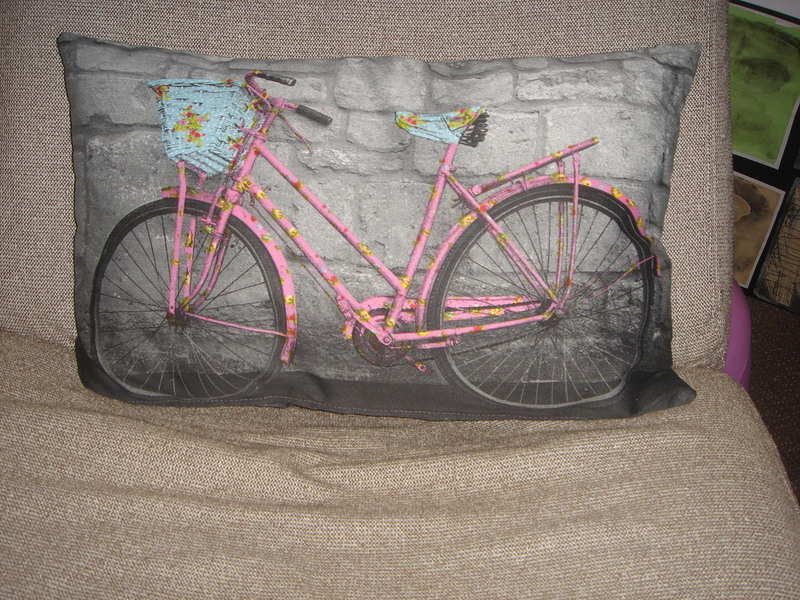 I recently signed up to the lovely Tam’s Cookie Exchange over at Salad and Sequins. The idea is that those interested were paired up with another blogger and we then baked some cookies and posted them. Got to love some cookie action 🙂 I was paired up with Laura from Keeping Healthy Getting Stylish. She sent me these amazing cookies! They are vegan, gluten-free, Banana Coconut Chocolate Chip Cookies. They really are delish. The lovely Jemma at Celery and Cupcakes organised a foodie swap between UK readers and US readers. I did this last year and it was fab! Got some lovely goodies. This year my swap partner was a girl called Kasey. She sent me this fab parcel of goodies. Peanut Butter and Co Cinnamon Raisin Swirl- wow!! Totally delicious! Lucky me! I have had the Raw Revolution coconut bar and it was really yummy. Oh my word, it has been sooooo long! Tut tut! This is kind of me at the moment!! Life has been good, but pretty busy. Received 2 of the assignments I mentioned previous, passed both and got 64% on the one that was percentage marked! Yay me! So, still on track for my 2:1 degree. I’ve still got one to be returned, and then I’ve got to hand in some maths work, write a science assignment, write an education studies assignment and complete an art assignment. Then it’s all done! Scary stuff. Oh yeah, and the minor point of job hunting! I have also been part of the group of girls organising our graduation ball, it’s going to be amazing! So excited with it all. On Tuesday evening Rob and I joined a local triathlon club!! As you’d expect, we can do running, swimming and cycling sessions with them and they have several each week. This is hopefully going to take us on to the next level in our training and push us. I’m also excited because I get to buy a hoody with the logo on!!!!!!! Hahaha! I am going out for a 10 mile run tomorrow, I was supposed to go out with a group this evening, but am utterly exhausted after the half at the weekend and two nights in a row of heavy swimming. I’ve just had a 4 hour nap!!! Feel much more human now. Then have got parkrun on Saturday which is fun. It’s certainly all go at the moment, have got loads of piccies of food which I need to share with you at some point, but wanted to make sure I checked in. Howdy readers! How can it be the end of January already??! Went to see my wonderful physio on Saturday for a check-over before I start really increasing the miles for marathon training. Boy am I glad I did! I thought I felt tight in my quads and calves and they really needed seeing too, especially my right leg, which he did a bit of acupuncture on. My glutes are not firing at all, dead as a dodo apparently! Not good, but not totally abnormal. So got some exercises to work on that. I need to work on my ankle strength as well, in both legs. So work daily on the old wobble board is needed! Sitting for many many hours a day is causing me problems with my hips, resulting in tight hip flexors, so got some isometric contractions to do for that. And finally got some daily stretches to do for my psoas muscle. See here for more info about where this muscle is. 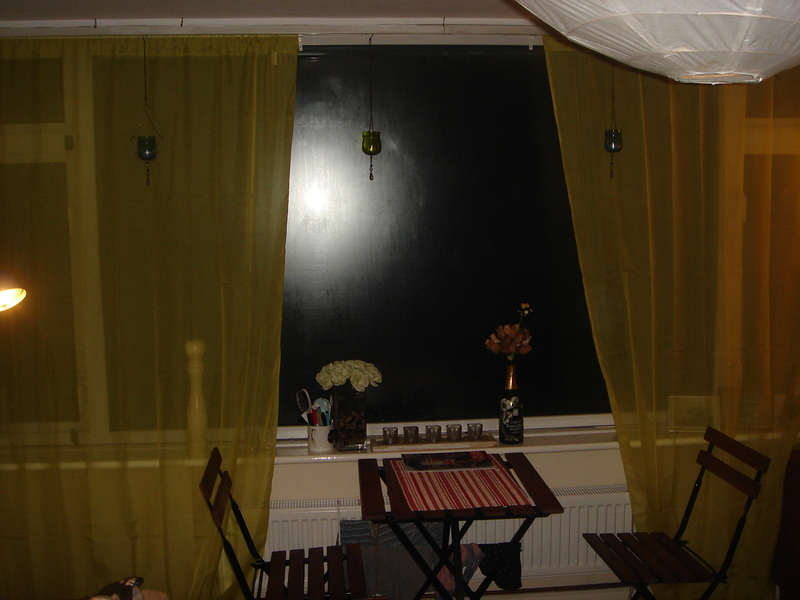 Got these great green voiles for the lounge window. 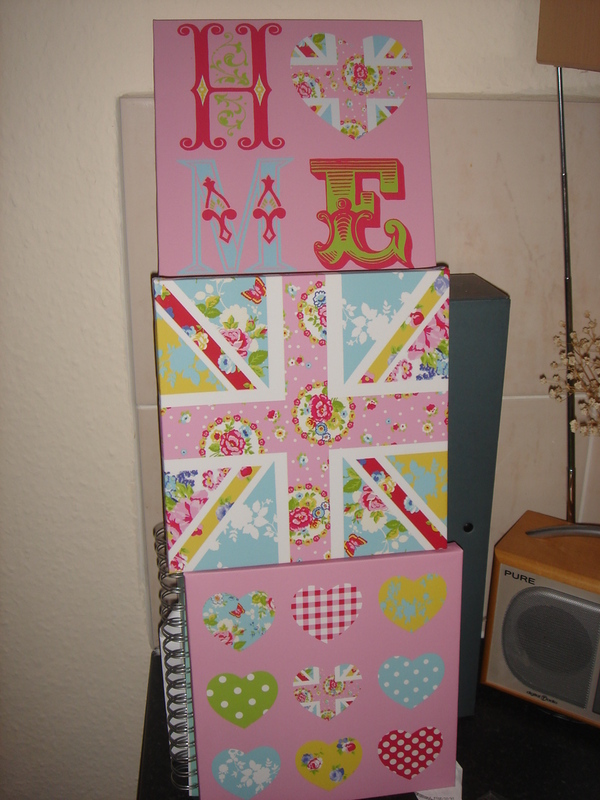 Got these cute pictures for the kitchen along with some tea towels. We also got a bright blue bath mat for the bathroom. Looks so bright and fresh now! Check out our humungous lunch from Saturday! 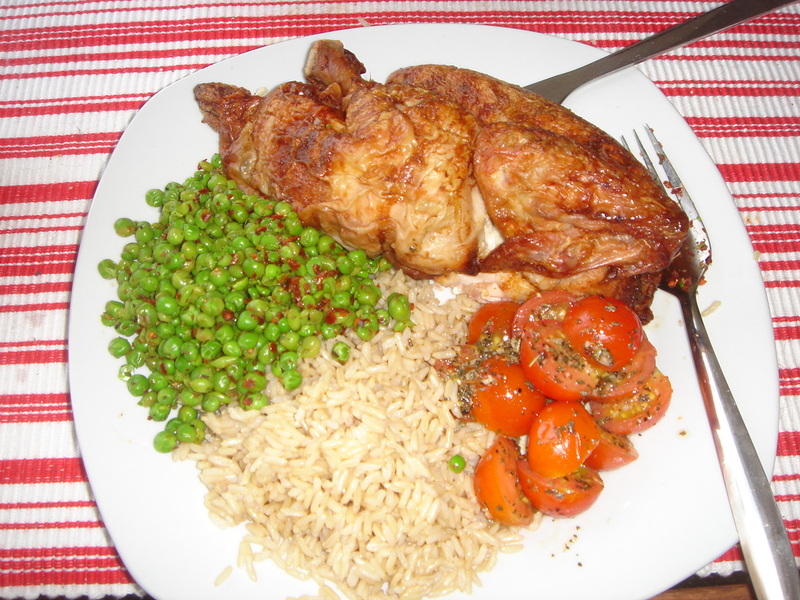 Half a chicken each, mashed mint and chilli peas, garlic and basil tomatoes, and brown rice. We ate that while watching the athletics. Awesome! How amazing was Mo Farah. Totally awe-inspiring. So, gotta start thinking of goals now that we’re heading in to February, and I’m likely to have a little more free time on my hands. Where better to look than Stuart Amory, from In Kilter Fitness. He is a personal trainer who is kicking up a storm on Twitter. He put together an Advent Challenge for the month of December, has come up with a challenge for January, and now February. His aim is for 2012 to be people’s fittest year yet. This coming month’s challenge is here and involves a water drinking challenge and a press up challenge. For the January challenge and leg challenge you can find the video here. I personally have been ‘dry’ for the whole month of January and aim to do so for the month of February. I am particularly excited about this month’s challenge as I want to get back into my press ups. Last year I got up to 6 full press ups in a row, so I want to beat that this year! Had my blood tests this morning for iron levels and thyroid function, should get the results for these on Friday afternoon. Also had a dietitian appointment this afternoon. She was really pleased with my progress and said that I should continue with a gluten-free and dairy-free diet. She complimented me on my attitude to this, as she said some people will just say it’s impossible, whereas I have been very positive about it. Foods have been delicious and I have been trying to eat as much veg as I possibly can without turning into a piece of kale or spinach myself. Lots of smoothies with spinach have been consumed with berries or bananas. 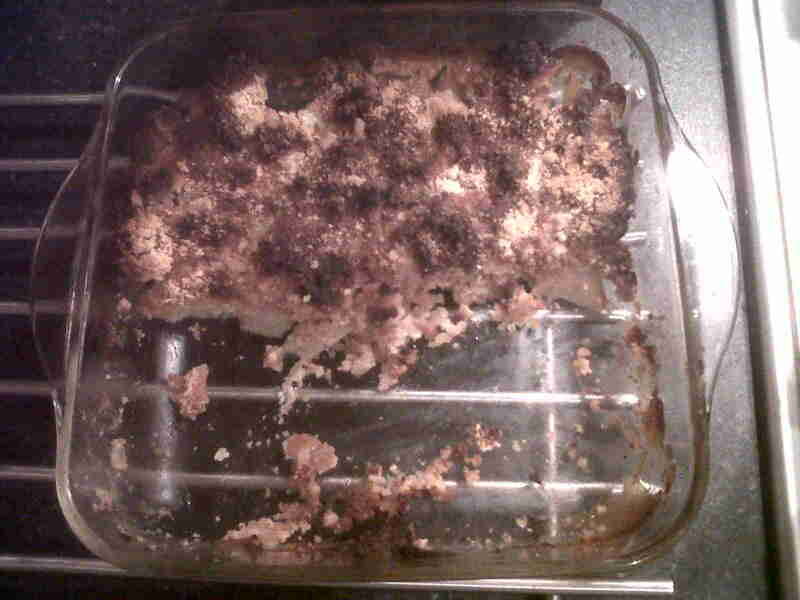 At the weekend we made a delicious apple crumble which was a bit different to the norm… we peeled and chopped some apples into a dish, then mixed up some ground almonds (about 2 cups) with some coconut oil, loads of cinnamon and a bit of agave. Sprinkled it all over the apples and baked, covered with foil, for nearly an hour. It was amazing!!! I would definitely recommend this. And it was gluten and dairy free- bonus! 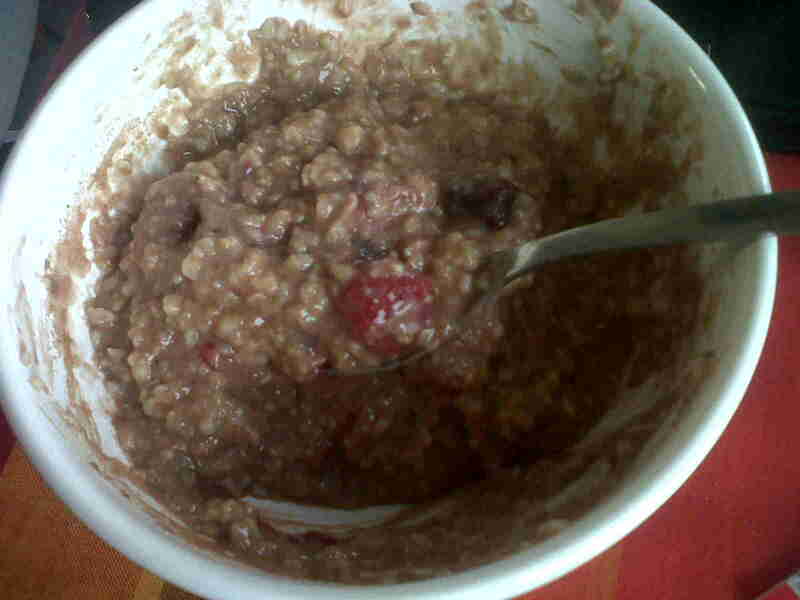 Breakfast today was a bowl of porridge with coconut and protein powder. 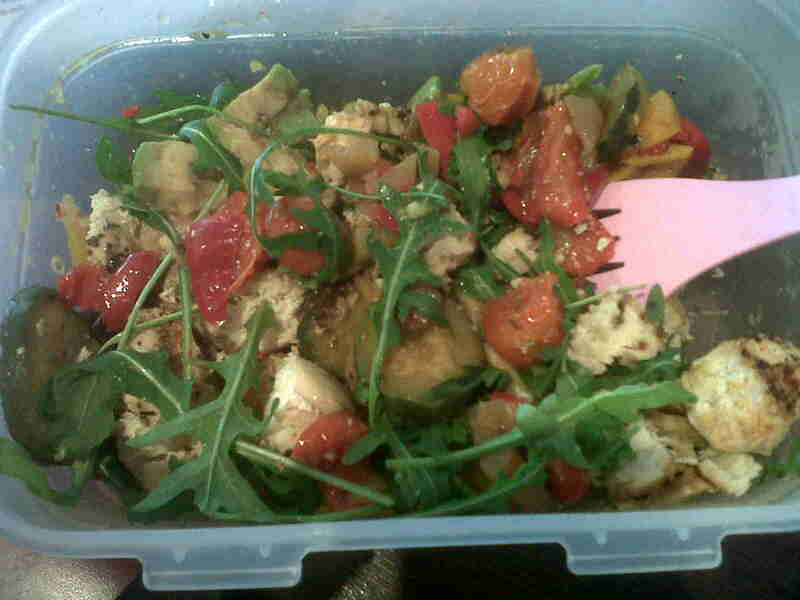 Today’s lunch was this veg-tastic salad with chicken, avocado, beetroot, cucumber, tomato, rocket, spinach. Had it with a mug of miso soup. 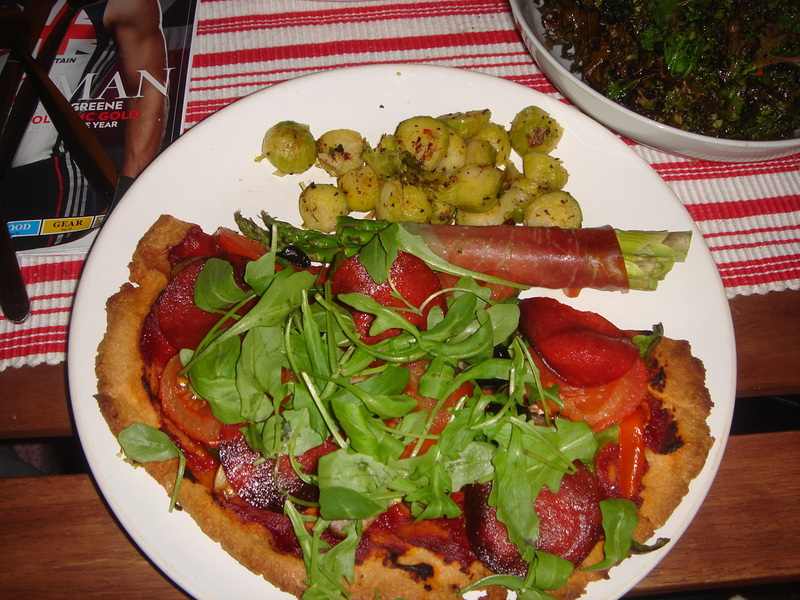 Dinner was a pizza made with ground almonds from this recipe here (totally lush by the way!!!) and topped with tomatoes, peppers, onion, olives, mushrooms, rocket, served with sprouts, asparagus wrapped in parma ham and kale chips. Drooooooool!! I have made it my mission to ensure I drink between 2 and 3 litres of water today, and have managed 3. 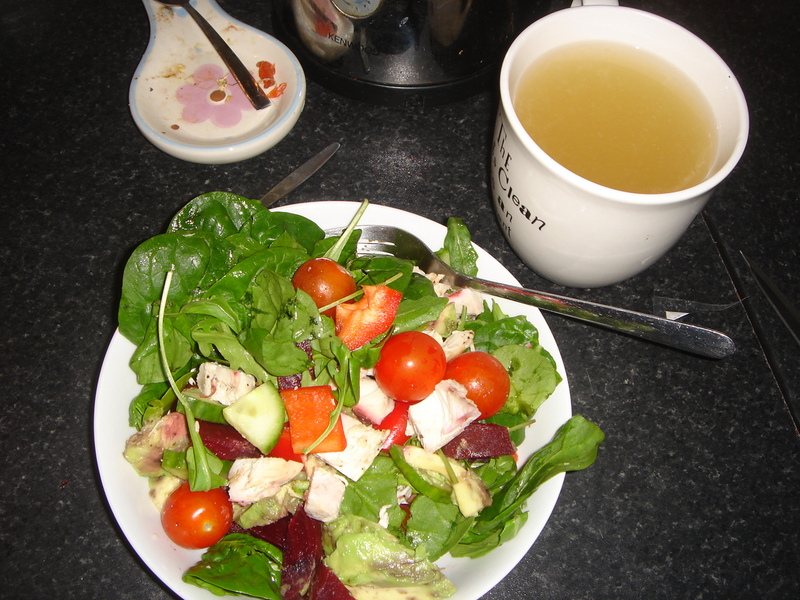 As well as ensuring optimum food intake, I’m also going to be working on my mental/emotional wellbeing as well. 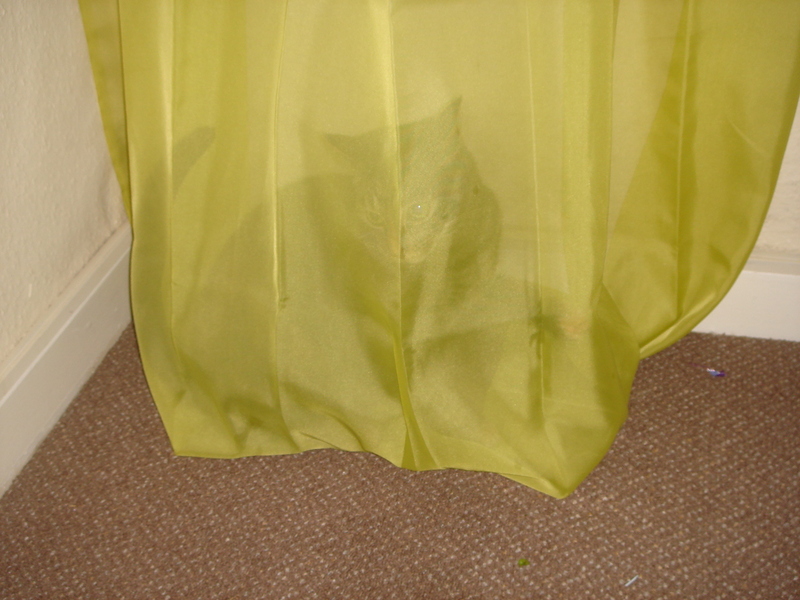 It has been highlighted that I spend rather a lot of my time stressed out, what with one thing or another. And that I take inadequate ‘chill time’, either none, or what I do take isn’t spent adequately de-stressing. So am going to work on this, and I urge others to do the same. We need to learn to relax for our own health. So, last night I ran a bubble bath, lit some candles and lay in there for an hour listening to the Bon Iver album, concentrating just on the music and my breathing. It was very strange as I’m used to working at 100 miles per hour, but it was good. I felt almost drunk when I got out the bath, I was so relaxed. Slept really well and haven’t been that drained today, which is how stress often makes me feel. Having my roots done tomorrow, it’s the little things hey! And into uni to return some books, and get some more out. Then more reading and writing!! Is it snowing where you are? We had a little attempt, but nothing major! Maths, maths and more maths! Well, yesterday was a funny day. Ended up really quite upset after having gone into uni and feeling very stressed and overwhelmed about everything that is expected of me leading up to the end of uni. 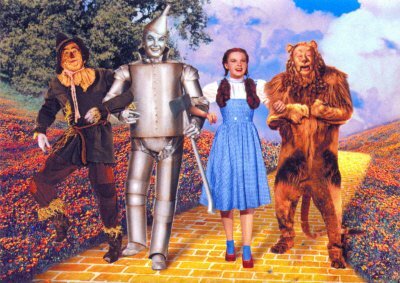 There’s not much that watching Wizard of Oz can’t sort out! Managed to regain some perspective on the whole situation and now feel a lot better. The level of work hasn’t changed, but my mindset and how I am going to tackle it has. Breaking it all down into smaller pieces to tackle, one piece at a time. 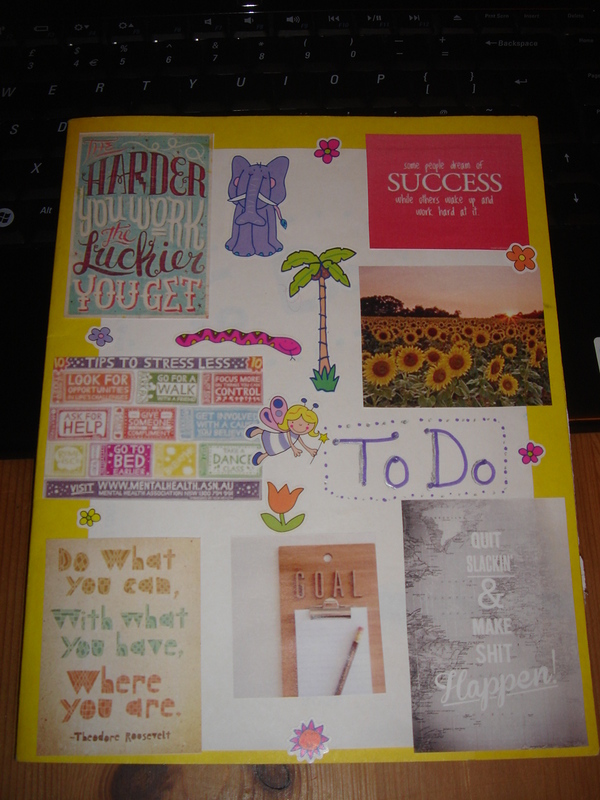 I’ve also prettified my uni to-do book! Little inspirational quotes and pretty stickers. I have been quite upset as well because I haven’t been able to train how I’ve wanted to with all the different school/uni pressures on at the moment, but I have got to get my priorities in order, and finishing uni with a good degree is my main one. So the training will come in and around that. I’ve got to learn not to put too much pressure on myself, easier said that done sometimes! Yesterday was full of yummy eats like a blueberry smoothie. 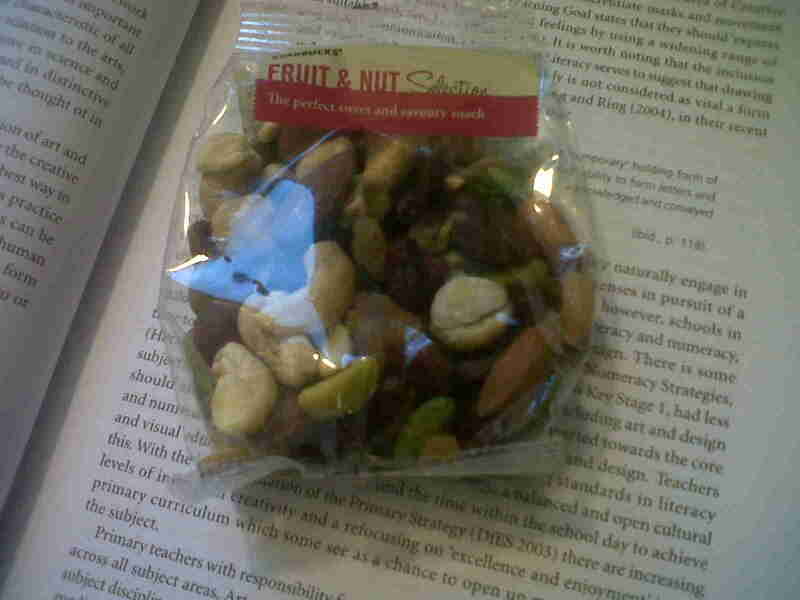 Snackage of some hardboiled eggs, dried fruit and nuts. 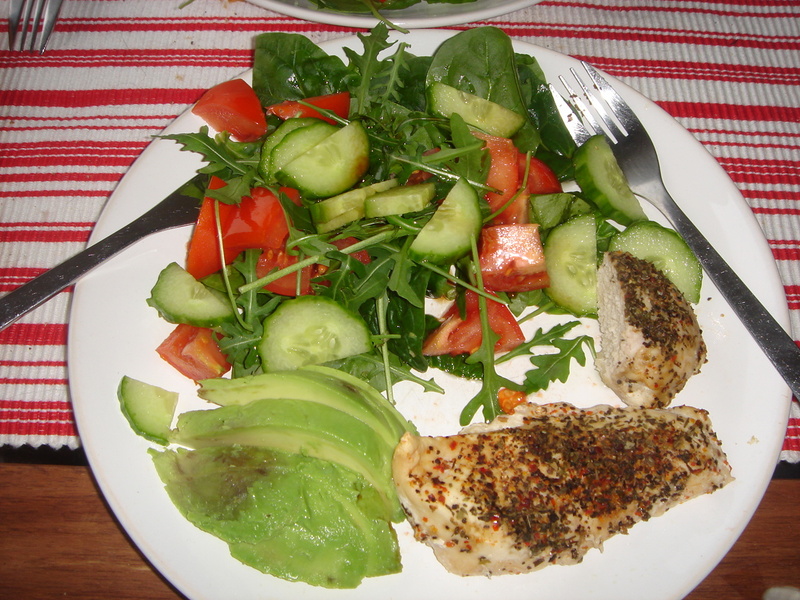 This gorgeous chicken, avocado and chargrilled meditteranean vegetable salad! 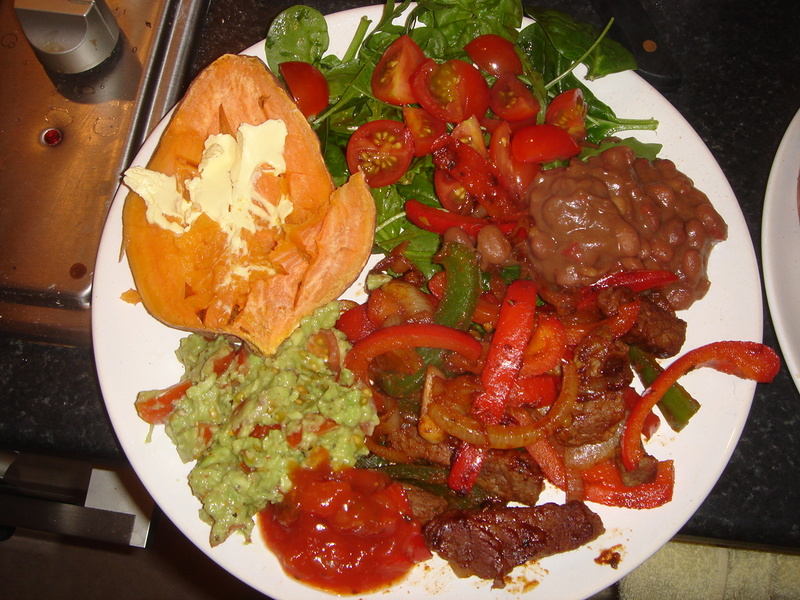 Dinner was this exquisite mix of beef fried with peppers and onions in fajita spices, avocado mashed with pepper and cherry tomatoes, baked sweet potato, salsa, refried beans and salad of spinach, rocket and cherry tomatoes. Mmmmmmmm! Today I have been trying to regain some balance in my body so have been indulging in plenty of green juices. Have made these with pears, spinach, cucumber and celery. Also been having some wheatgrass. This afternoon I had a green smoothie made with spinach, banana, chocolate protein powder, water and peanut butter. Plenty of water and herbal teas. Today is the first day in a while that I haven’t felt totally exhausted. 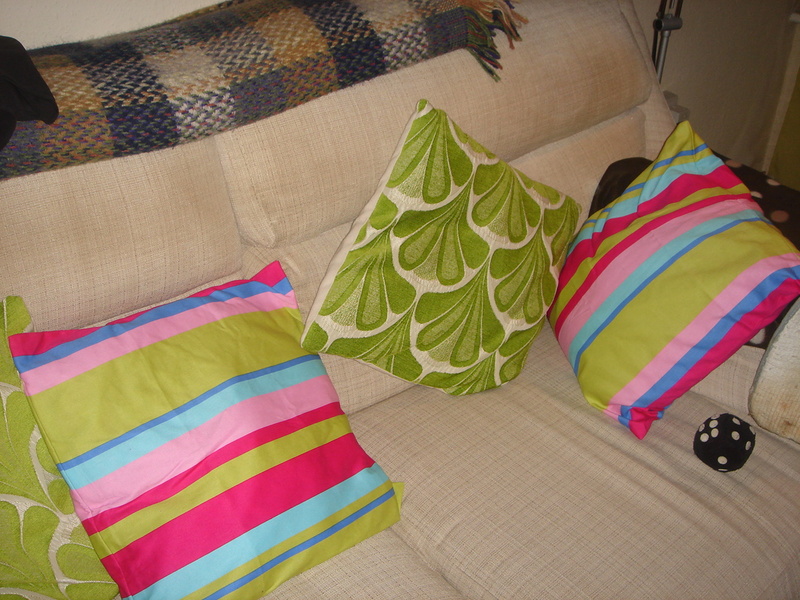 I think gaining a perspective on my work, having a lie-in and having lots of energising green juices has really helped. I have been doing loads of maths reading, hence the title of the post!! It’s very interesting, it’s all about problem solving within mathematics. I like the reading element, it’s the writing the essays that I find tricky!! 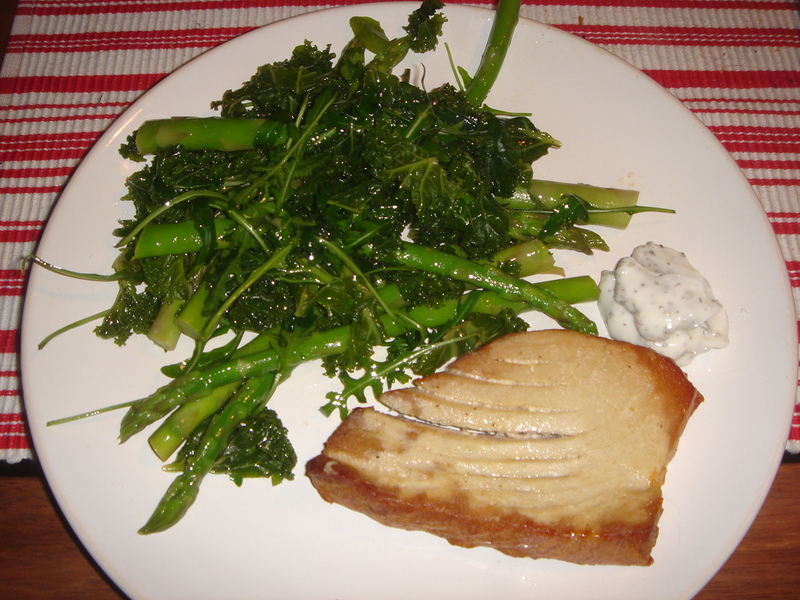 Dinner was a delicious tuna steak, with basil mayonnaise, kale and asparagus. 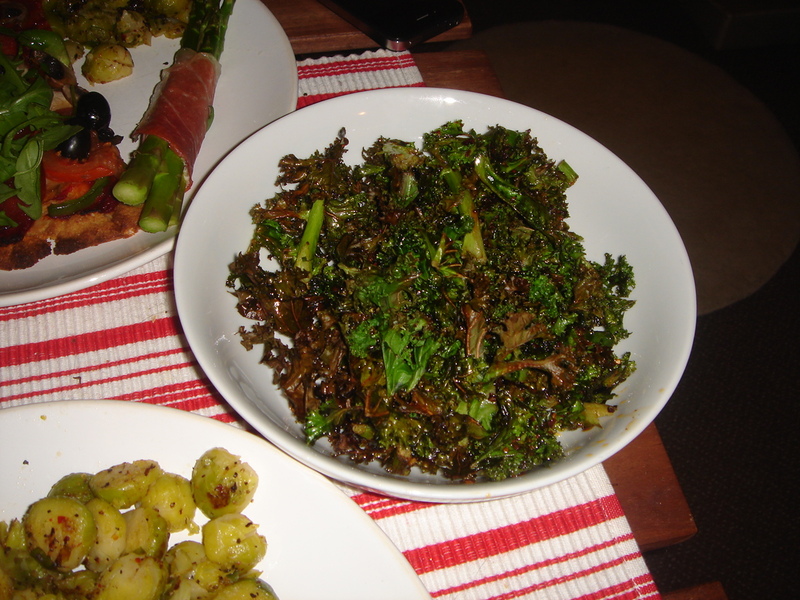 The kale and asparagus had a lovely mix of lemon juice and olive oil on it. Really brought the flavours out. 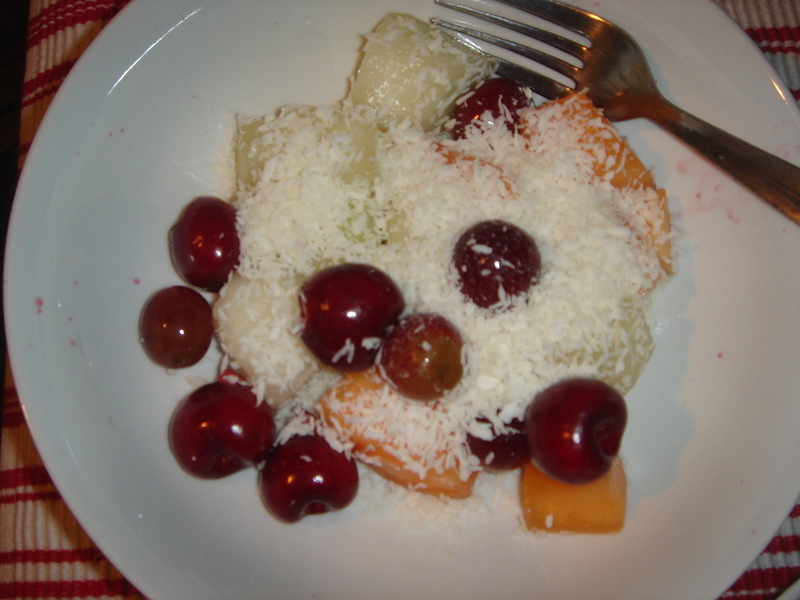 Dessert was melon, grapes, and cherries with some coconut. Can you tell I’m trying to get my vitamin levels up! Laura asked about how I make my coconut pancakes. 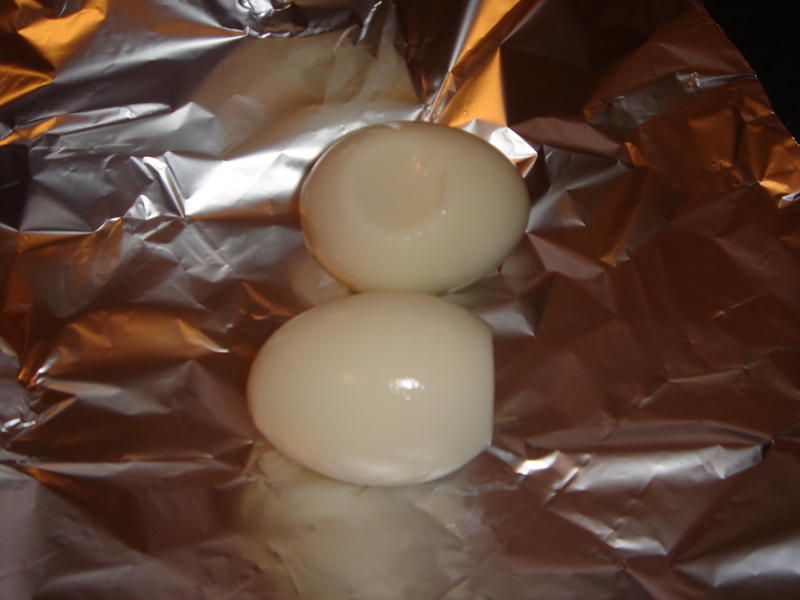 Well, I use coconut flour and the recipe on this page. I don’t use the sugar though, and I would say to use a little more coconut flour than it says. I’m sure you could use egg replacer or flax egg in this. They really are delicious. I love coconut flour and use it a fair bit. Dax Moy's Elimination Diet- Free!